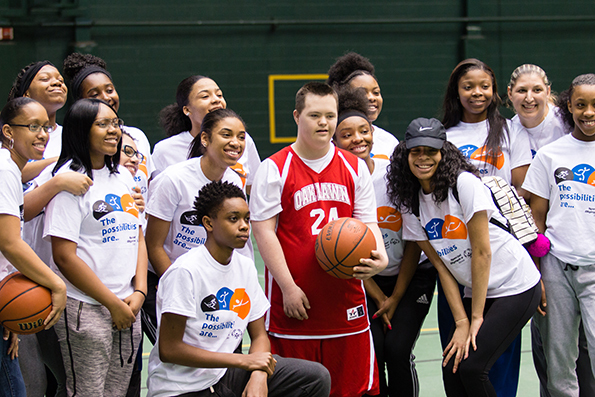 Bloom Township High School’s Girls Basketball team is a great group of players with extremely giving hearts. Coach Andrea Gallardo likes her team to focus on giving back to the community and the team volunteers in many community events. Since 2007, Gallardo has volunteered with Special Olympics Illinois; but this year, Gallardo decided the Special Olympics Illinois State Basketball Tournament would be a great opportunity for Township High’s team to volunteer. The entire team had to leave at 6am on Saturday morning in order to make it to Normal by 8am for check-in. With a group of sixteen high school girls, Gallardo said she had expected to be making wake-up calls for those struggling to get out of bed. Her team surprised her, though: all of them were there and ready to go when the bus needed to leave. Not only that, but the entire team was excited to help out! 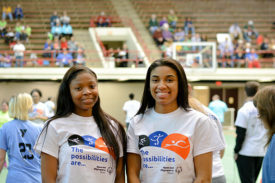 As soon as they reached the State Basketball event, the Township High players jumped right in and starting working with the Special Olympics Illinois athletes participating in Basketball Skills. For those not familiar with this event, Basketball Skills is a modified competition event where athletes that would not qualify for traditional basketball still get to compete based on skills such as dribbling, passing and shooting. The two captains of Bloom Township’s team are Simone Gardner and Me’Leia Mansker. Not only do they love to play basketball themselves, but they also enjoy sharing that love with the athletes of Special Olympics Illinois. 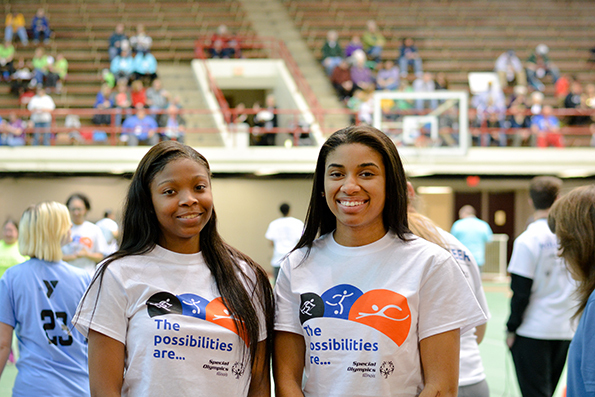 Coach Gallardo and the entire Bloom Township High School Girls Basketball Team were full of smiles and excitement for the 2017 Special Olympics Illinois athletes competing in Basketball Skills. 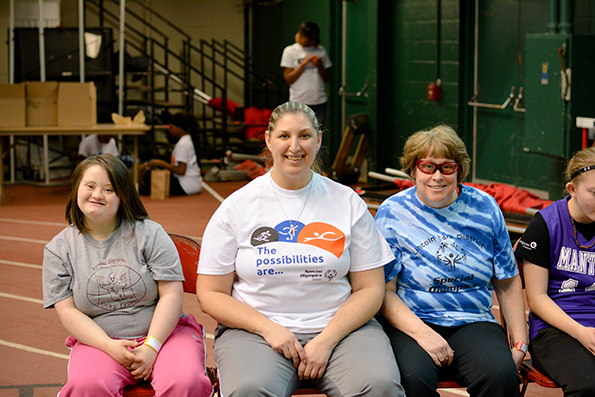 Bloom Township will definitely be back next year to volunteer for Special Olympics Illinois State Basketball!